I’ve never been a big fan of all-star accolades, especially in MLB. Does a popular vote of baseball fans–many of whom are biased towards their own team, I might add–really tell us who are the best baseball players of that year? Too often they feel like a popularity contest, like those Homecoming court elections in high school. Half the time, we know who’s going to win before the ballots are even cast. That being said, the label “all-star” is a quick and dirty way to denote excellence, whether for that individual season or over the course of a career. And while popularity plays a role, the talented players are typically the popular ones. MLB released its second update on the NL all-star races yesterday. Here’s what the fan voters got right, and what they got wrong. Posey has a commanding lead in this race (Wilson Contreras is a distant 400,000 votes behind), and that’s exactly as it should be. 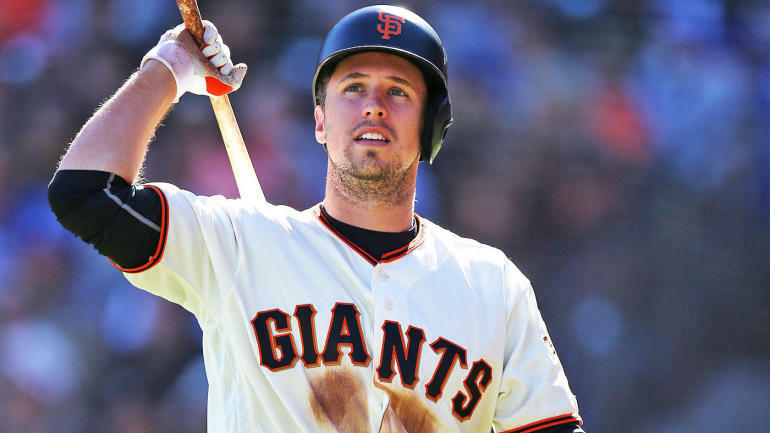 Posey has been the lone bright spot in a tough season for the Bay Area Faithful. His .343 average is third in a stacked National League, and his walk-to-strikeout ratio is the stuff dreams are made of. Ignore the depressed RBI total; you can’t drive in runs if no one can get on base in front of you, and Posey’s done his part with seven bombs. Posey certainly deserves his fifth all-star nod. My problem with this race: where’s the love for Miami’s JT Realmuto? His numbers this season (.295/.365/.428) build off of his breakout campaign in 2016, and while his stolen base total is down he is tied with Posey for the NL lead in runs by a catcher. Posey deserves the starting spot, but I think Realmuto (currently not in the top 5 in voting) should merit more consideration than Willson Contreras of the Cubs (remember what I said about popularity contests?). After Zimmerman, I’ve got some major problems with this race. I love Anthony Rizzo, and I think he brings a leadership mentality that makes him such a valuable piece in the Cubs clubhouse. But that’s not what we’re measuring in all-star races. And a guy with a .236 batting average should not be in second place in all-star voting, especially not with Freddie Freeman and Paul Goldschmidt behind him. Also, can we give Mark Reynolds (.295/.366/.535) some credit for a fantastic season in Colorado? It’s a travesty that he’s behind Matt Carpenter in this race. The NL second base ranks are full of good players. Cesar Hernandez looks like the future in Philadelphia with his .290/.353/.419 slash line, and he has a commanding lead in runs among NL second basemen. Josh Harrison has been quietly putting together a career year in Pittsburgh. And even the veteran Brandon Phillips has garnered some all-star consideration with his performance for Atlanta. Make no mistake, though; Daniel Murphy deserves this spot. He leads NL second basemen in almost every category. Hits? Yup. He’s got 70 of those. RBI? Please–with that Nationals lineup? Batting average? OBP? Slugging? All three. Homers? Murphy’s already in double digits. No other second baseman in the NL has hit that mark yet. Murphy’s the guy. A case could be made for a number of other players. Anthony Rendon is high up the leaderboards in RBI, homers, and runs, but remember those numbers are inflated by a monster game against the Mets. Justin Turner has a .379 average, but has yet to show much power this season and has missed time through injury. And while his counting stats aren’t bad, Eugenio Suarez of Cincinnati still strikes out too much to truly be considered elite. 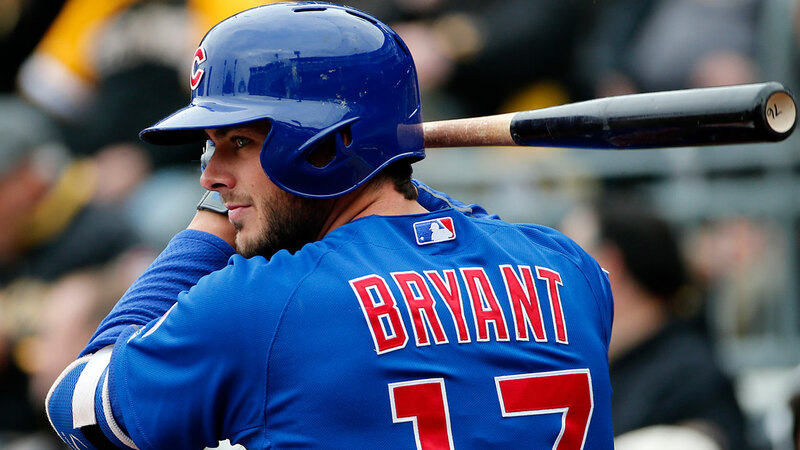 Bryant and Arenado are the best choices to man the hot corner for the National League in Miami this summer. Seager deserves to be on the all-star team, though he has unsurprisingly taken a step back in his sophomore campaign. His average stands at a respectable .271, but that is about 30 points lower than his 2016 ROY campaign. He’s also on pace for a higher strikeout total and fewer home runs, though not by much. Seager has had a good, if not great season for Los Angeles, and he’ll probably make the team. But he shouldn’t start in Miami. That honor should go to Zack Cozart. When you think of Cincinnati right now you’re probably thinking of Joey Votto (who could also deserve merit at first as an all-star). But Cozart has been the catalyst for the Reds this year. He’s leading all NL shortstops in hits, home runs, extra-base hits, RBI, and average. Cozart hasn’t just been one of the best shortstops in the National League this year; he’s been one of the best players this season. He only trails Seager by 50,000 votes, so Cozart may yet win this vote. Harper is playing at an MVP-caliber level, plain and simple. Though he may not be as big of a name as Bryce Harper, Charlie Blackmon has matched him swing for swing this season. For the Rockies Blackmon has posted a .328/.365/.606 slash line. He is second to Harper in runs by an NL outfielder, and leads the Nationals’ stud in RBI. I can’t be the only one hoping for a Rockies-Nationals series in October to see these two bearded baddies go at it. 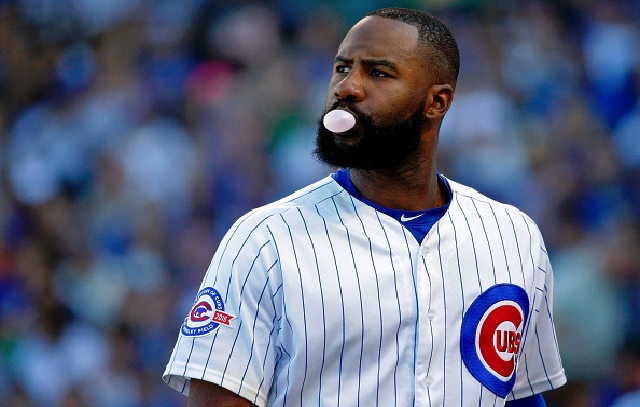 And so, we come to Jason Heyward. Here’s the good: he’s not as bad as he was last year. Here’s the bad: his .258 batting average wouldn’t crack the top-15 among NL outfielders if he was eligible in that category. He’s 37th in runs scored (18), 29th in hits (39), and 21st in RBI (23). These don’t sound like all-star numbers to me. And while his defense is good (9 defensive runs saved, UZR of 4.8 on the season), it’s not enough to make up for his mediocre bat, at least when it comes to all-star consideration. My personal vote would be for Ozuna to join Harper and Blackmon in the starting outfield, but just about anybody might be more deserving of the starting spot than Jason Heyward. We’ll keep you up to date on the all-star voting as we get closer to the Midsummer Classic; in the meantime, be sure to check out our review of the AL all-star update, which will be coming out tomorrow.